I take one 5-HTP Supreme by Designs for Health with dinner and another at bedtime along with melatonin and find I am able to more easily get to sleep and rest at night. 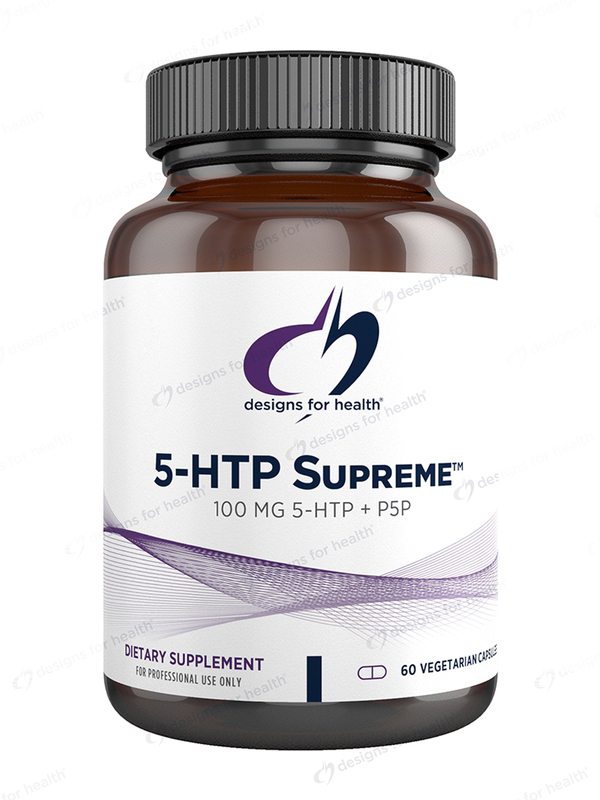 5-HTP Supreme™ is a synergistic formula of 5-hydroxytryptophan (100 mg) and vitamin B6 (20 mg) for supporting overall neurotransmitter metabolism by providing precursors of serotonin. 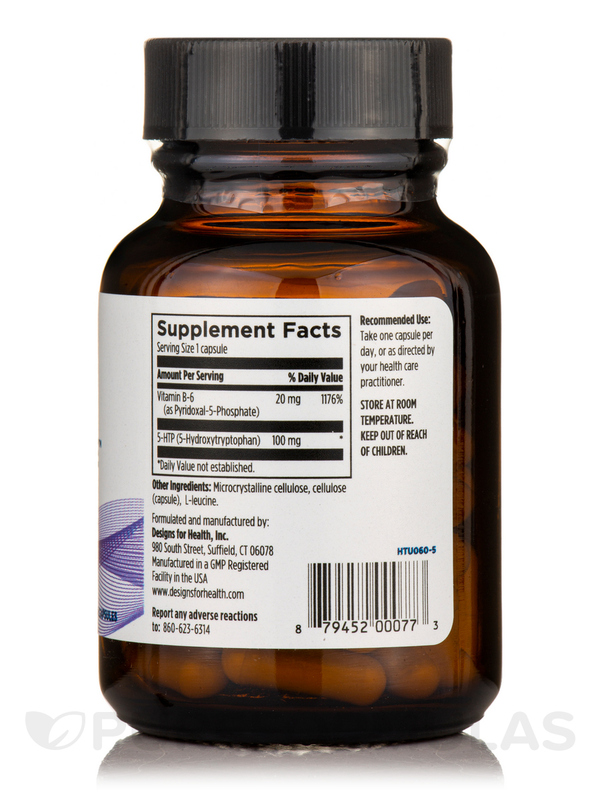 5-HTP readily enters the blood brain barrier‚ however conversion into serotonin requires the cofac­tor vitamin B6‚ which is included in this formula. 5-HTP Supreme™ may be used during the day to support healthy mood or appetite or at bedtime to support sleep. 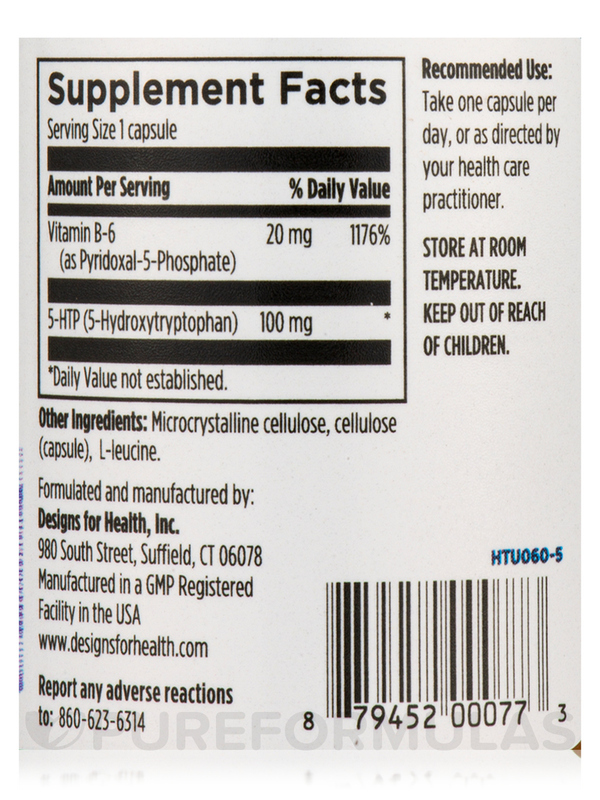 Other Ingredients: Microcrystalline cellulose‚ cellulose (capsule)‚ l-leucine. 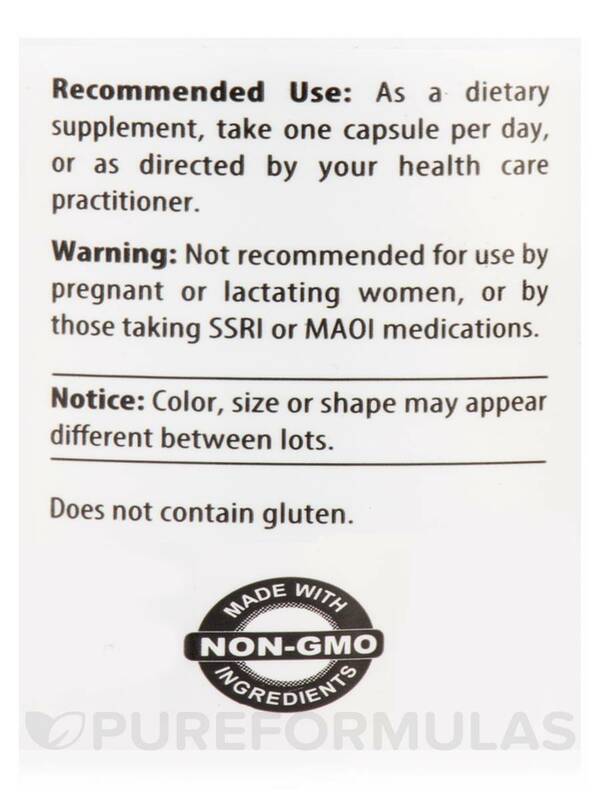 As a dietary supplement‚ take one capsule per day‚ or as directed by your healthcare practitioner. 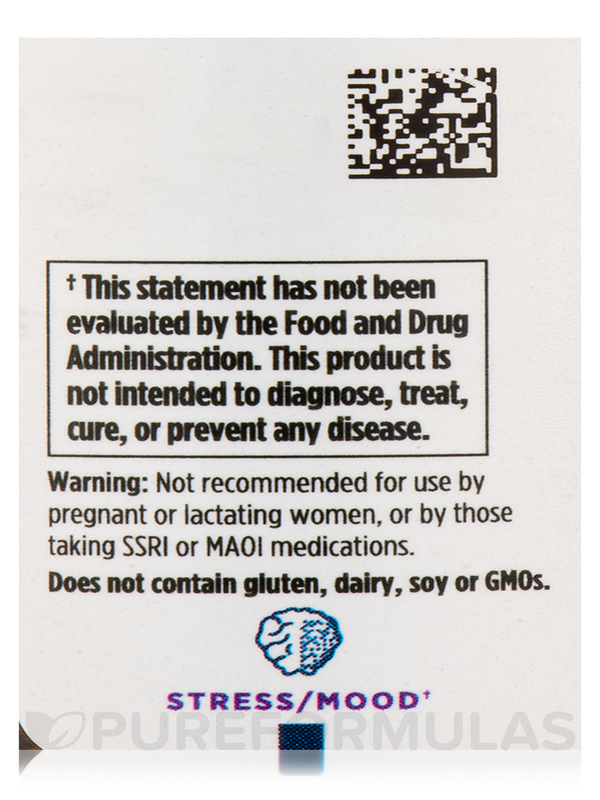 Not recommended for use by pregnant or lactating women‚ or by those taking SSRI or MAOI medications. I was directed by my doctor to take this in addition to L-tyrosine three times a day. It has pretty much cured my depression. Makes me happy. Regulates my hunger. My 10 year old switched from Paxil and Celexa to 5 HTP on the recommendation of our integrative MD. It works immediately unlike antidepressants which take weeks. Its great not having the side effects of medications. 5 HTP raises serotonin naturally. I took some just for fun and I sleep much better with it. 5 HTP is one the best supplements we take where it has made a noticeable and drastic difference in our lives!